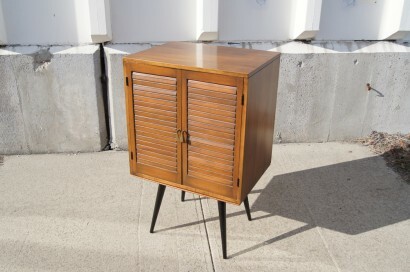 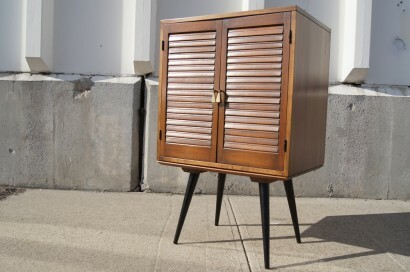 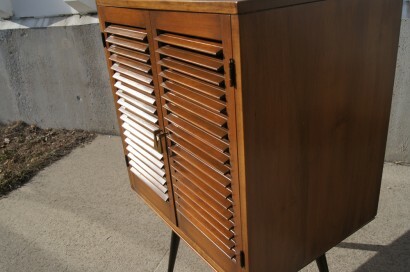 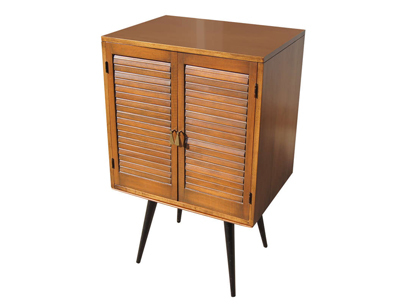 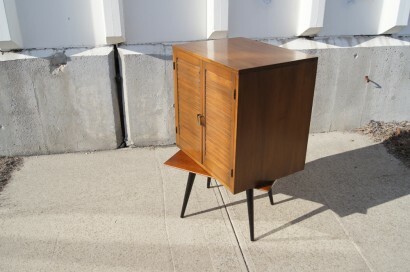 This cabinet was designed by Paul McCobb for Winchendon Furniture’s Planner Group line. 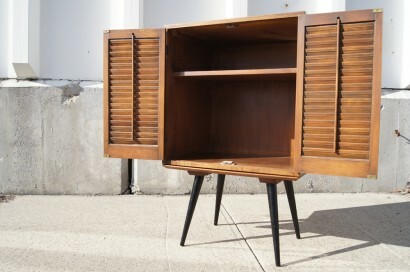 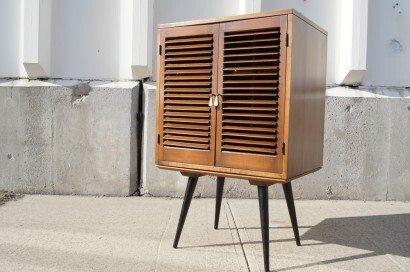 It features a small case with one fixed shelf and slatted doors with pendant brass pulls. 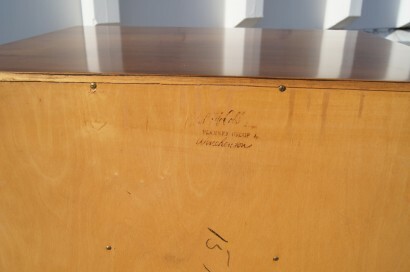 The case sits atop a detached table base with black tapered legs (see pictures).